When air is compressed impurities can enter into it that may be harmful to your well being. All compressed breathing air should meet the purity standards laid out in EN12021. 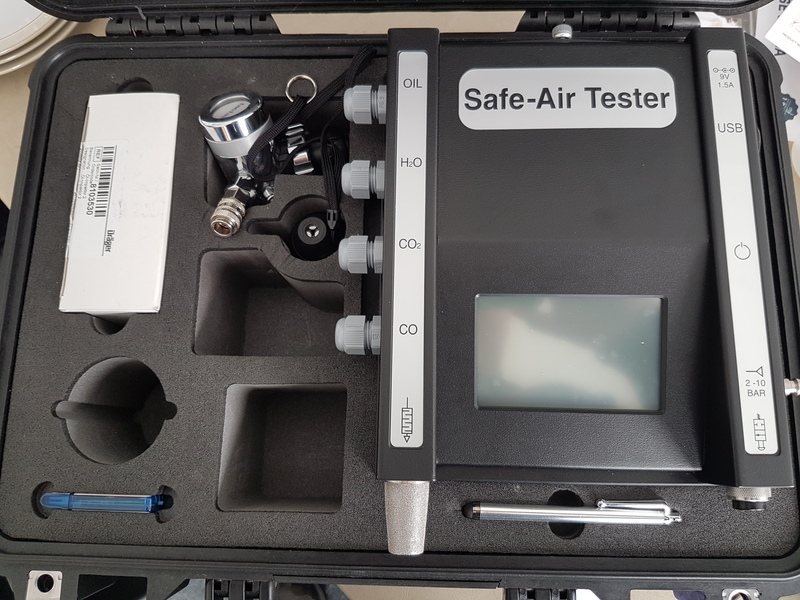 We have invested in one of Factair's latest generation of Safe-Air Testers. This allows accurate air quality testing by passing a sample of the air through a chemical indicator that gives us a read out on the quality of the air.